Eight years ago, on the ’26th’ of January 2010, Mark Grusane made his BBE debut, when he co-compiled The Real Sound Of Chicago with Mike Cole, his partner in Mr. Peabody Records. It was then one of Chicago’s premier record shops, and was the first port of call for many DJs and producers when they visited the Windy City. That was no surprise, as Mr. Peabody Records was home to 15,000 records including many of the tracks that eventually found their way onto The Real Sound Of Chicago, which was Mark Grusane and Mike Cole’s first compilation of underground disco. However, this was no ordinary album of underground disco. Instead, The Real Sound Of Chicago featured hidden gems that had slipped under the musical radar. These hidden gems incorporated elements of funk, gospel and R&B, while other tracks on The Real Sound Of Chicago moved towards the post disco sound of boogie. This eclectic compilation of hidden gems was released to plaudits and praise, and soon, Mark Grusane and Mike Cole were working on a followup compilation for BBE. Sadly, their was no followup to The Real Sound Of Chicago and Beyond, and that was the end of this short-lived compilation series. Since, the release of The Real Sound Of Chicago and Beyond, Mr. Peabody Records shut its doors for the final time. Although one of Chicago’s legendary record shops was no more, this allowed Mark Grusane and Mike Cole to start new chapters in their career. Since then, Mark Grusane continues to live in the Windy City, where he’s still buying and selling records. Mark Grusane continues to DJ across the world, releases new productions on various record label and continues to work on new edits. This has become one of Mark Grusane’s specialists, and would prove useful when he decided to compile a new compilation. After seven years away from the world of compilations, Mark Grusane recently made a welcome return when The Real Sound Of Mark Grusane was released by BBE on the ‘26th’ of January 2018, which by sheer coincidence was eight years to the day since The Real Sound Of Chicago was released. For The Real Sound Of Mark Grusane, the man himself chose eleven slices of boogie, disco and modern soul. This includes contributions from Africano, Sémaj, Frank Pellica, Brief Encounter, Choker Campbell, Shabadoo, Daniele Patucchi, Yan Tregger, Jim Spencer, Macho and The Island Music Makers. Nine of the tracks were then edited by Mark Grusane, which is something he’s been since he was twenty-one. Using a lifetime’s experience, Mark Grusane then edited and usually extended these tracks, which featured on The Real Sound Of Mark Grusane, which is a carefully curated compilation of boogie, disco and modern soul. The horn led Open Your Hearts by Africano opens The Real Sound Of Mark Grusane. It’s a track anyone familiar with Hi Records’ illustrious back-catalogue will be familiar with. 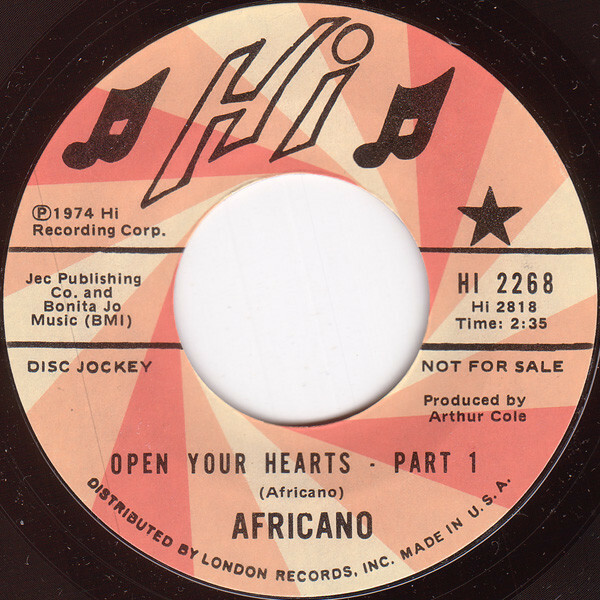 Africano was signed to Hi Records in 1973 and released their debut single Satisfactorize Your Mind in October 1973. Eight months later, in June 1974 came Africano’s finest hour, Open Your Hearts (Part 1). It was written by Africano and produced by Arthur Cole, who plays his part in what’s a joyous, funky, soulful and memorable floor-filler. Thirty years later, and Mark Grusane edited Open Your Hearts in 2004, and it’s that limited edit that opens the compilation, and sets the bar high for what follows. This includes Semaj’s All Should Be In All which is sure to find favour with fans of boogie and modern soul. It was produced by J.E. Mansell and released by Zaraster Records in 1987. On the A-Side of the single was the vocal mix, while the instrumental featured on the flip-side. Mark Grusane has skilfully combined the two for an eight-minute edit that is soulful and dancefloor friendly. Many Chicagoans will have heard Frank Pellico play live but not be aware of this. He played the stadium organs for both the Cubs at Wrigley also the Blackhawks at the United Center. 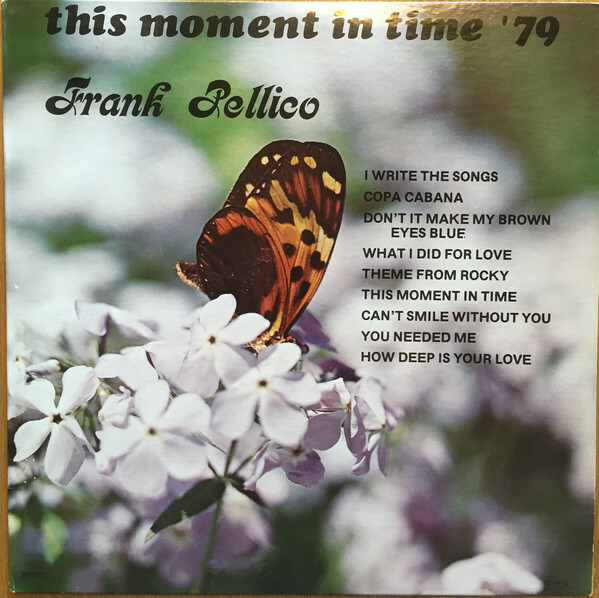 Many of the patrons at both venues that were probably unaware that Frank Pellico was also a recording artist who released ten studio albums. This included This Moment In Time ’79 which was released in 1979 and featured covers of familiar songs, including Copa Cabana. Mark Grusane takes the original song which lasted 3.39 and extends in so that it lasts just over six-minutes. In doing so, he takes the listener back to 1979 when disco was king and artists on both sides of the Atlantic were jumping onboard the bandwagon. Frank Pellico’s cover is much better than many tracks recorded during this period, as he unleashes a fleet-fingered solo on a track that marries elements of soul-jazz, funk, disco and Latin music. Brief Encounter who were originally called Sounds Of Soul, hailed from North Wilkesboro, in the foothills of the North Carolina’s Blue Ridge Mountain. They released two albums and six singles between 1973 and 1981. 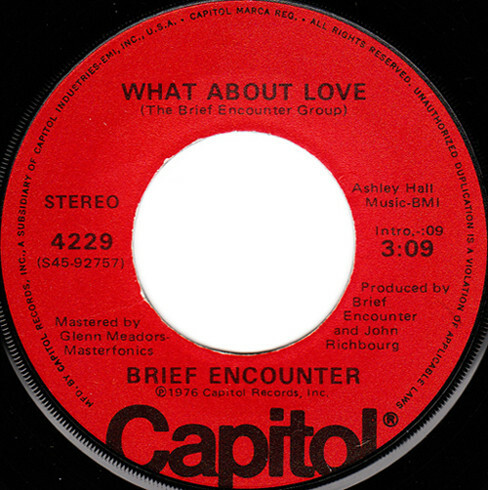 This included What About Love, which was written by Brief Encounter who produced the single with John Richbourg. It was released on Capitol Records in 1976, and thirty-two years later, this modern soul classic was edited by Mark Grusane. Although saxophonist, songwriter, producer, band leader, and label owner christened Walter Luzar Campbell, he was known to many within the music industry as Choker Campbell. This sounds more like a mob boss, than a gifted musician who enjoyed a long and successful career. Initially, he was part of Motown’s house band the Funk Brothers, until he was replaced by Earl Van Dyke. However, Choker Campbell then led the house band at Detroit’s Graystone Ballroom, and later, founded Tri-City Recording Co. and its various sub-labels. In 1977, Choker Campbell released Carioca as a single on the Candy Apple label. 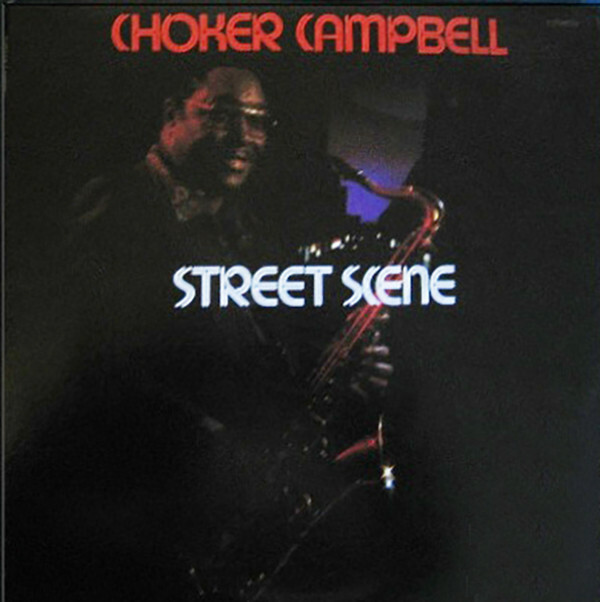 Carioca is a track from Choker Campbell’s debut album Street Scene which was also released in 1977. It’s funky and soulful, but also cinematic and dramatic as its part of a soundtrack to a seventies film or TV show. American actor, dancer, choreographer and director Adolfo Quiñones Shabadoo when he released Do It on Dore in 1976 as a twenty-one year old. 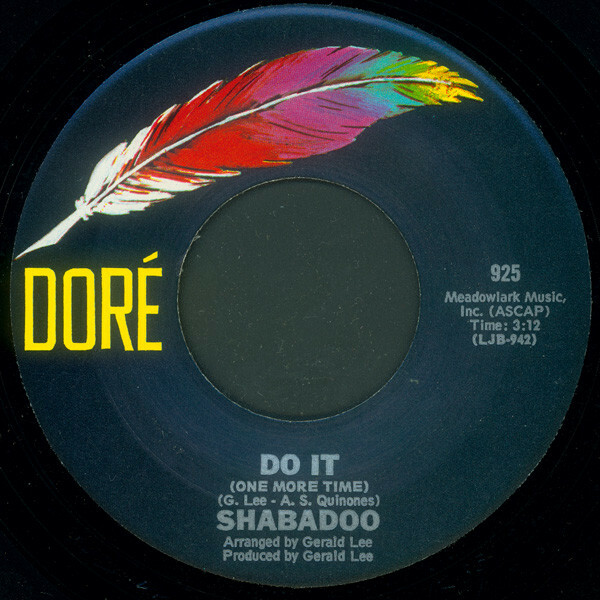 Do It has a tough, funky sound that briefly becomes futuristic before becoming soulful and taking on a slick disco sound. 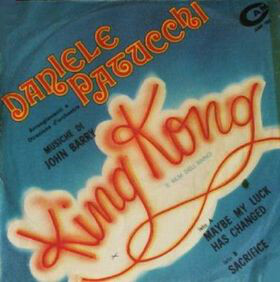 Italian composer, conductor, bassist and producer Daniele Patucchi covered the John Barry composition Sacrifice on the B-Side of his 1977 single for the Italian label CAM, Maybe My Luck Has Changed. For those who flipped over to the B-Side, their luck definitely changed when they discovered a genre-melting mid-tempo hidden gem. It’s a glorious, mesmeric and urgent workout where disco, funk, fusion, jazz and even a hint of psychedelia is combined by Daniele Patucchi. Unlike many of the tracks on the compilation, copies of the original single can be found for reasonable prices. However, it would to best buy now to avoid disappointment. The tempo drops on Yan Tregger’s slow, soulful and sultry Spend The Night. It’s taken from an album of library music entitled Catchy, which showcases the talents of Yan Tregger, Phil Davies and Christopher Ried. 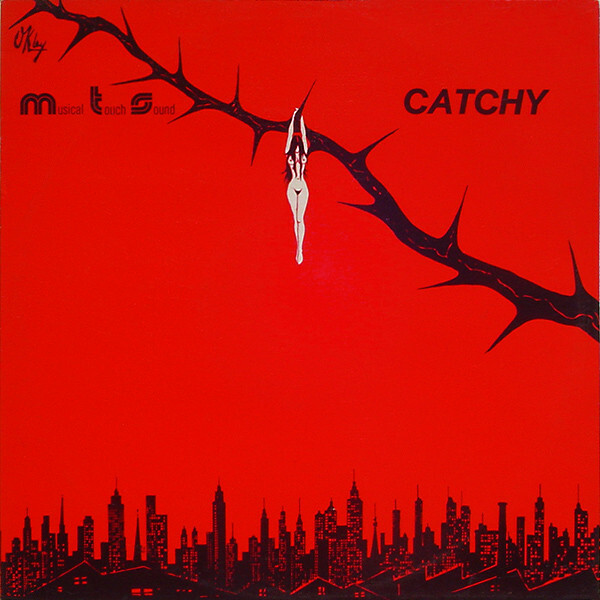 Catchy was released in 1978 by the Musical Touch Sound label, and nowadays, can change hands for over £380. This puts that album beyond the budget of most record buyers, and Mark Grusane’ Spend The Night Edit is the nearest they’ll come to discovering the delights of catchy. By 1979, Jim Spencer from Milwaukee, Wisconsin, was an experienced musician who had already released two solo albums. His 1973 debut Landscapes was followed by 2nd Look in 1974, which was the last solo album Jim Spencer released. 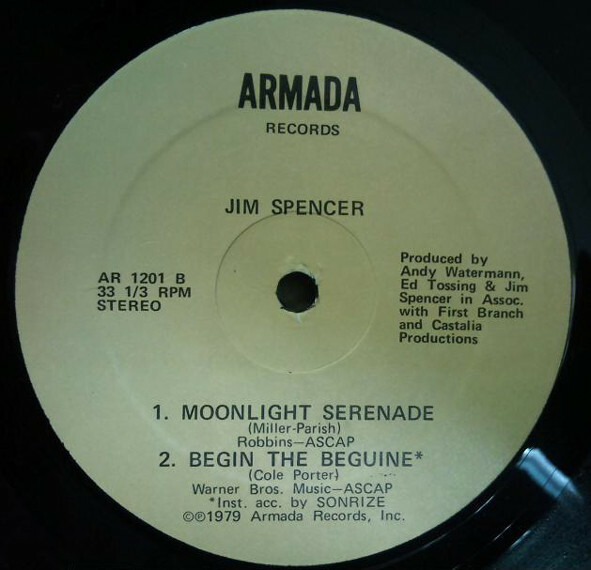 Five years later, in 1979, Jim Spencer had reinvented himself when he released the Yacht Rock favourite Wrap Myself Up In Your Love on Armada Records as a single. Tucked away on the B-Side was a cover of Glenn Miller and Michael Parish’s Moonlight Serenade which later, became a favourite in the Modern Soul scene. Sadly, by then, Jim Spencer had died aged thirty-nine after suffering a stroke. 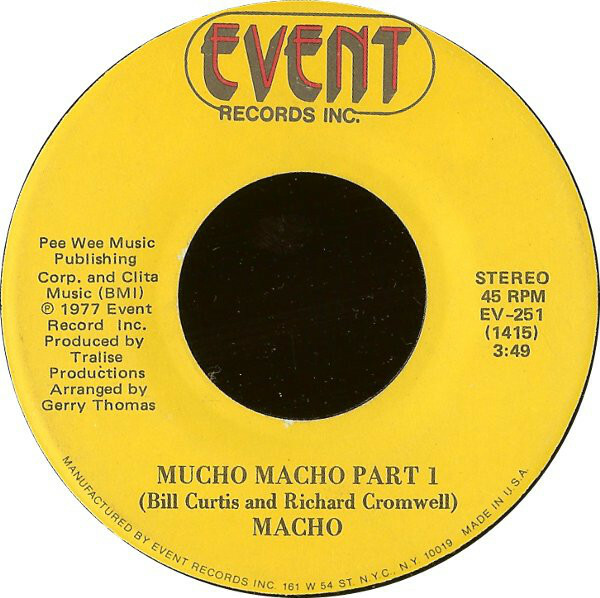 Macho’s Mucho Macho was released by Event Records in 1977. It was written by Bill Curtis and Richard Cromwell was produced by Traise Productions. They’re responsible for a sensual sounding fusion of soul, funk and disco where the vocal follows in the footsteps of Donna Summer’s Love To Love. However, unlike Love To Love, Mucho Macho failed to find an audience upon its release. In 2004, Mucho Macho found its way onto the B-Side of his edit of Africano’s Open Your. Since then, it’s become a prized track amongst collectors and DJs. The Island Music Makers’ Calypso Medley closes The Real Sound Of Mark Grusane. It’s one of two tracks not to be edited by Mark Grusane. Instead, the original version of Calypso Medley which featured on Steel Pan Express in 1980 can be heard in all its glory. 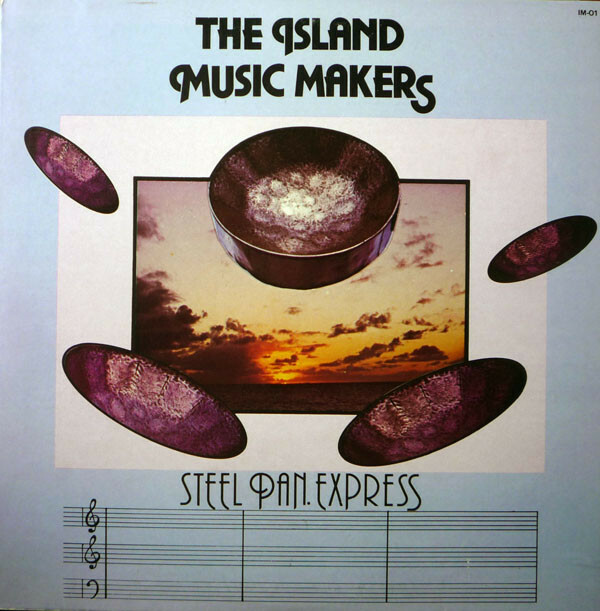 It is best described as a funky slice of calypso disco from The Island Music Makers who were the Carnival Cruise Lines’ steel band. 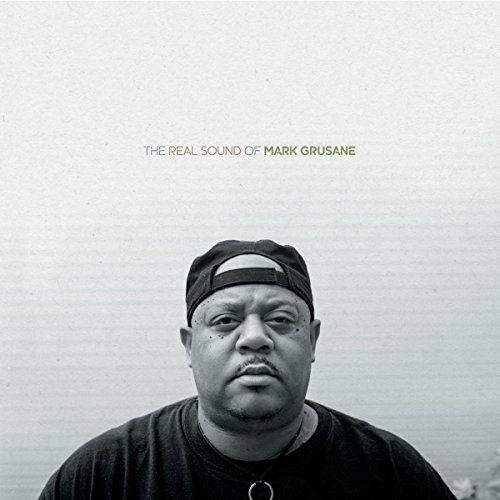 After seven-years away from the BBE fold, Mark Grusane makes a welcome return his new compilation of boogie, disco and modern soul, The Real Sound Of Mark Grusane. It features the music that Mark Grusane loves and plays when he DJs around the world. During his sets, he will play many the edits he has made over the years. Nine of his edits feature on The Real Sound Of Mark Grusane. Only Daniele Patucchi’s Sacrifice and The Island Music Makers’ Calypso Medley haven’t been edited by Mark Grusane. Instead, it’s the original versions feature on the compilation. The Real Sound Of Mark Grusane which was released by BBE on the ’26th’ of January 2018, is sure to appeal to fans of boogie, disco and modern soul. However, it’s also a compilation that will appeal to anyone who likes music funky, soulful and dancefloor friendly, and who likes to discover music that for a multitude of reasons, passed record buyers first time around. It’s changed days nowadays, with many of the tracks on The Real Sound Of Mark Grusane are favourites of DJs, dancers and record collectors. Given how few copies of the original albums or singles were originally sold, many of the tracks are now extremely rare, and change hands for large sums of money. This means that these tracks are beyond the budget of many record buyers. The nearest they’ll come to owning these tracks is when they buy a copy of The Real Sound Of Mark Grusane, which features a mixture of hidden gems and genre classics. ← THE BEST REISSUES OF 2017-PART 1. Some fascinating Chicago music history that I wonder how many Chicagoans know about – also interesting on the organ playing! It’s a pity that more people, including those from the Windy City, aren’t aware of the artists and music on The Real Sound Of Mark Grusane. Sadly, these singles and albums slipped under the musical radar, and it’s only relatively recently that they’ve started to find an appreciative audience. You should check out the compilation, and hear some music that has maybe passed you by.